This post is the sequel to last December’s “Columns-n-a-crate,” which are both part of the great series entitled Virginia Architectural Pastiches. 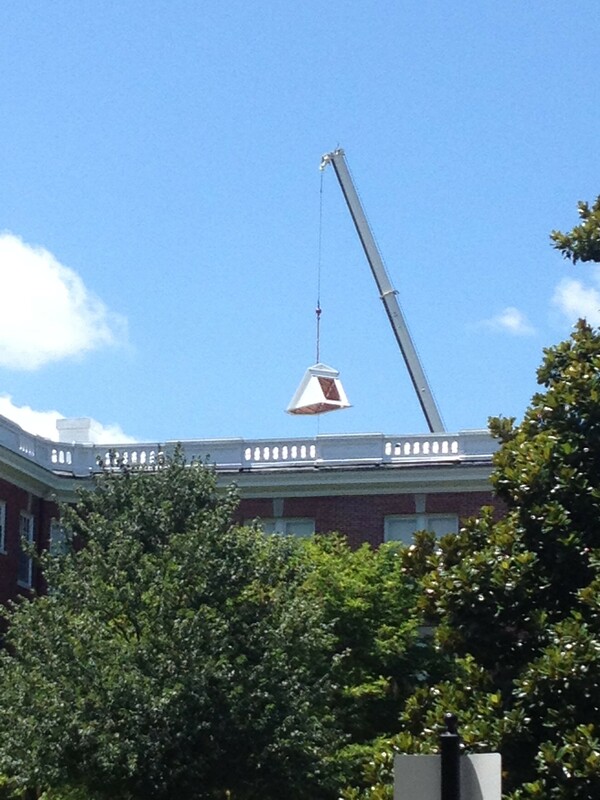 The new Campus Center is getting its dormers lowered on with a crane. Must have been acquired at Antebellum Greek Revival Features-R-Us.